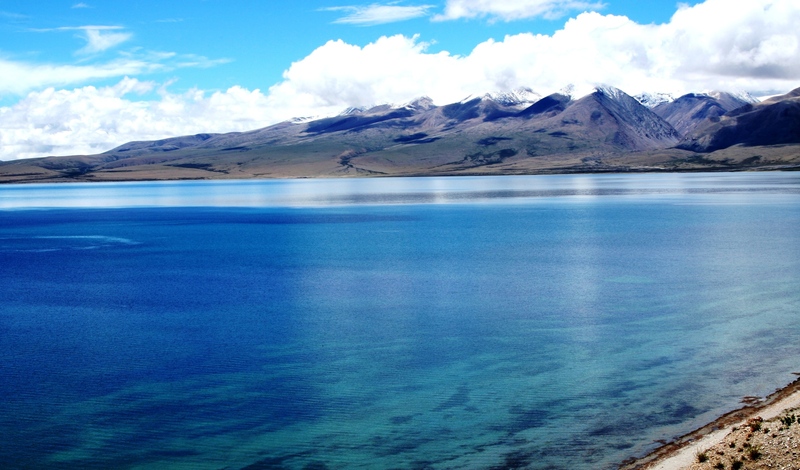 Stop the bottling of Mansarovar Lake water in Tibet! It has come to light that Shanghai resident of Indian origin Vaishali Midha, wife of the Dell chief for the Asia Pacific region, Amit Midha is launching a mineral water brand, sourced from the Mansarovar Lake in Tibet. According to Rahul Kanwal, Managing Editor, TV Today Network (http://www.dailyo.in/politics/rahul-kanwal-modi-china-jinping-jaishankar-weibo-keqiang-chinese-airlines-make-in-india-mansarovar/story/1/3794.html), the bottles of water from one of the highest freshwater lakes in the world will be priced at INR 80 per bottle starting October 2015. The special packing of the bottles is purported to be designed by TV actor Mohit Raina and comes with rudraksh beads on the cap, and Hindu god Shiva’s teachings printed on a parchment inside the pack. This plan of bottling water from the Qinghai-Tibet plateau, one the world’s most fragile ecosystems is shocking and beyond ridiculous. Already, climate change is threatening this Himalayan region, which provides key environmental services such as carbon and water storage to Asian countries. The plateau even regulates regional climate systems such as the Asian monsoon. By now, it is common knowledge that plastic bottles used for bottling water are causing enormous environmental damage all over the world. Not only is fossil fuel being used in its manufacturing process but the polyethylene terephthalate (PET) used to make bottles is not biodegradable. Most bottles are not being recycled in any useful manner and are being thrown away to often form unsightly mountains of garbage. Plastic pollutes waterways, contaminates soil, and sickens animals (which are often eaten by humans). According to a UNEP-IUCN report, over 46,000 pieces of plastic litter are floating on every square mile of ocean today. It cannot be overlooked that for millions of Hindus and Buddhists around the world, the Mansarovar Lake is sacred as the abode of tranquil spirituality. The waters of the lake are the reward for pilgrims who make one of the most difficult journeys in the world. Bottling such water for commercial purposes makes a mockery of the very god in whose name the water will be sold. The bottles with Shiva’s teachings will only end in garbage heaps. Mining water from ecologically fragile areas, offending cultural sensitivities and adding to the burden of the world’s plastic waste is foolish and unsustainable. Instead of bottling plants, investments need to be made in upgrading the municipal water and wastewater infrastructure of cities and towns. 750 million people in the world lack access to safe water. But millions of litres of water are being lost through leaks in pipelines in the process of delivery. Preventing those leaks with better management could increase water supply without tapping new resources. Service providers need to focus their energies on improving the quality of tapwater and supplying it round the clock, while also recovering their costs. They need to find ways to recycle used water and to generate energy from waste. Please sign my petition to the Chinese government and Tibet authorities to put a stop to the bottling factory plans of Ms Midha in order to preserve the ecological, environmental as well as spiritual sanctity of a valuable freshwater lake. ← Why did Indians forget the value of urine as fertiliser? Signed the petition and shared it Sahana!